Terence Culleton lives and teaches in Newtown PA. A former Bucks County Poet Laureate and a semi-finalist in THE NATION/POETRY contest, Mr. Culleton reads widely throughout the Philadelphia area, as well as in northeastern Pennsylvania and New York City. 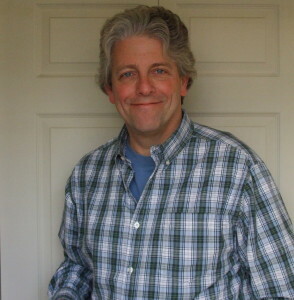 He has published poems in The Amherst Review, The Birmingham Review, The Cumberland Review, Edge City Review, Janus, The Schuylkill Valley Journal (featured poet), and various other magazines and journals. Mr. Culleton has appeared on TV and radio shows in both the Philadelphia area and New York City, and his poems have been featured on NPR. His work has been set to music and recorded both by Vermont composer Donald Jamison for his book and CD Far Haven, and by Darryl Harper and Onus for their CD Stories in Real Time. I write in forms, but I wouldn’t say I’m a Formalist. That’s largely because a polemic has been associated with that term, proclaiming the old ways good, free verse bad, etc., etc. As a writer I am both conservative and liberal (Apollonian and Dionysian), and I believe the creative process consists of a kind of dance between both of these predilections, with maybe the Dionysian taking the lead. Dancing is better than shouting, so, even though I’m as opinionated as anyone who’s had a drink, I hate polemics. Much of the poetry I love is unmetered and experimental in form, or grounded in prosodies that pre-date the centuries of iambic pentameter in English. I love Emily Dickinson’s rebellion against said iambic pentameter. I also love Walt Whitman’s. And I love good rhyming ‒ but when I hear bad rhyming I run to the window, throw it open … then remember my family. Form informs all art, including the free-est, and that’s why writing requires an incredible degree of restraint combined with incredible passion and spontaneity. Take Joyce’s crazy Ulysses, one of the most carefully crafted novels ever perpetrated upon the human heart. Regardless of form, what I value most in poetry is inventiveness. This relates to my belief that successful artists are ambidextrous. Traditionally, readers have loved two things ‒ the expected and the unexpected. Form, convention, religion, ideology, received notions, all constitute the former, and they draw readers in because readers cleave with legitimate delight to the familiar –that is, the thing they share with others. Inventiveness applies to the latter ‒ the unexpected. However much readers love the familiar, they also want to be taken outside of themselves, outside of what they’ve received and what they live with all the time, or have lived with. Inventiveness inheres at any level –syntax, diction, thought, plot, metaphor, voice. Ideally, there should be a happy balance between the received and the new, but without the new ‒ well, there’s nothing new. I mean, one could have done without Badfinger. At some level, too, in poetry there has to be a kind of musicality ‒ in the rhythm, in the vowels, the consonants, in other echoic effects like rhyme or refrain. Melodically, something has to rise. Every syllable is expendable and must earn its place.